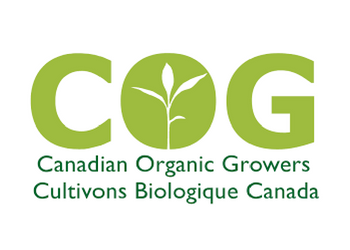 With partial funding from the Prairie Organic Grain Initiative, Canadian Organic Growers have published a standards guidance document called “COG’s Guide to the Canadian Organic Standards“. The standards can be challenging to read, but understanding them is essential to organic integrity. That’s where COG’s Guide comes in. Their goal is to help readers understand the standards. They explain what the standards mean and the reasoning behind them, provide background information, and give examples that are relevant to producers and operators applying them. The information they provide is intended to complement the standards, not replace them. Readers should refer to the Standards and Permitted Substances Lists before they use the guide. We recommend reading the standards for each point before reading our guidance on them. The guide alone will not provide a full understanding of the standards. The guide reflects the current interpretation of the standards by the Organic Standards Interpretation Committee (SIC), which was developed by the Organic Federation of Canada in partnership with the Canadian Food Inspection Agency. We hope COG’s Guide will help Canadians understand the standards. The goal is to help farmers, ranchers, processors and other producers to adapt their practices so their products can be certified as organic to the national standard. For consumers, the guide can explain how organic products differ from non-organic to highlight the value of choosing organic products. For more information, contact Canadian Organic Growers.